At Toscano we don't just have an extensive beer and wine list but we also now serve a hand picked selection of local liquor and beers. Come inside Toscano Italian restaurant and look out over the mountains while sitting under the branches of a real live tree. The sun pouring in from our floor to ceiling windows is helping all of our indoor greenery begin to bloom. Perfect for a romantic dinner or lazy cocktails. This week only bring your kids to Toscano for lunch, and with the purchase of a regular priced entree, the kids can choose from a cheese, pepperoni or margherita pizza free of charge. One per table, but one can easily feed two kids. Just mention the offer to enjoy your free wood fired oven pizza. Introducing a mule with a kick. At Toscano we are now using Garwood's fresh squeezed ginger beer in our Moscow Mule. Hand squeezed lemon, lime and ginger, along with filtered water and cane sugar give the mule a mighty kick. Garwood's ginger beer is a whopping 30% juice and can also be purchased as a soft drink option at Toscano Italian Bistro. At Toscano our take on the tequila sunrise includes Caravella Limoncello lemon liqueur. Mmm zesty. Its cold out, but quite mild here. Stepping into Toscano you may feel like you're still outside with our lush greenery and water features. But, while it looks like a blizzard outside, right here inside Toscano the aroma of our wood fire grill along with the cozy booths make for a comfortable lunch or dinner. We are set and ready on our covered and heated patio, lush with spring time greenery. Perfect for a lazy evening of cocktails and fine dining. There's nothing better than an ice cold, traditional style moscow mule... except maybe Chef Johnathan's special for the day, a sweet chili glazed king salmon. Thank you to everyone who joined us for ladies night yesterday evening. What a turn out! We're already looking forward to next Wednesday. See you there. This coming Wednesday, all Ladies visiting Toscano will enjoy half price appetizers. Sit, relax and enjoy the live plants and water features while sipping this week's featured wine. Yalumba Pinot Grigio, form Australia, has Aromas of Asian pear, baked apple and orange blossom. Perfect alongside a roasted beet salad, or a butternut squash lasagne. Every Wednesday night is Girl's Night Out at Toscano in Draper. Ladies, this is a great chance to get away from it all and enjoy some time out with the girls. Bring your friend in and enjoy 1/2 off appetizers. Each Wednesday we will be featuring a different wine that will bring your dull Wednesday night TO LIFE! So, if you're looking for something different to do on Wednesday night, join us for Girl's Night Out! Our New Wood-Fired Grill is Here! With our recently installed Wood-Fired Grill we are bringing the heat! Have you ever had Chicken Marsala before? If you have, we bet you've never tasted one like ours! 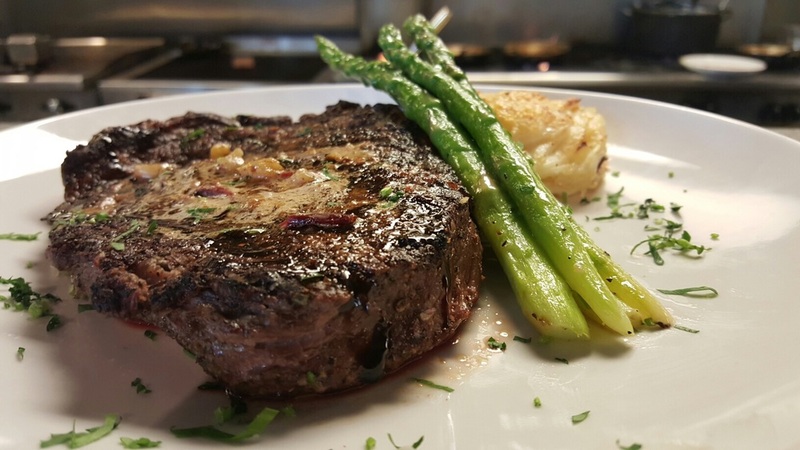 With the addition of the new grill to our Culinary Arsenal, we have added many delectable dishes to our menu that will make your tastebuds dance! New additions include: Kurobuta Double Bone-in Pork Chop, 12-oz Porcini Rubbed Ribeye (pictured), and Veal Chops! Bring in a friend for lunch and receive a free lunch entree with the purchase of a regular lunch entree. Mention this post to redeem! Not valid with any other offer! Only one free entree per table! Offer valid until March 31st! This weekends tantalizing dinner special is a doozy! BRING A FRIEND FOR LUNCH! 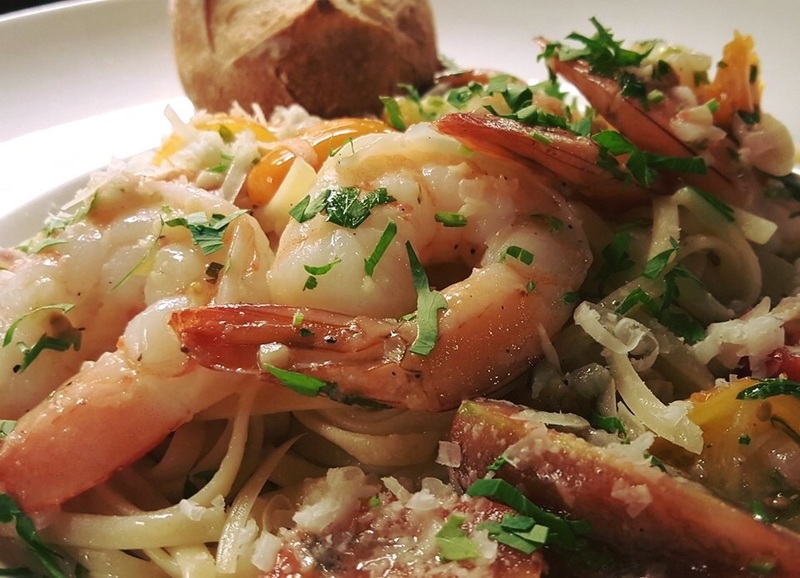 Bring in a friend for lunch and receive a free lunch entree with the purchase of a regular lunch entree. Mention this post to redeem! Not valid with any other offer! Offer valid until March 31st! Looking for a nice night out for Valentine's Day? 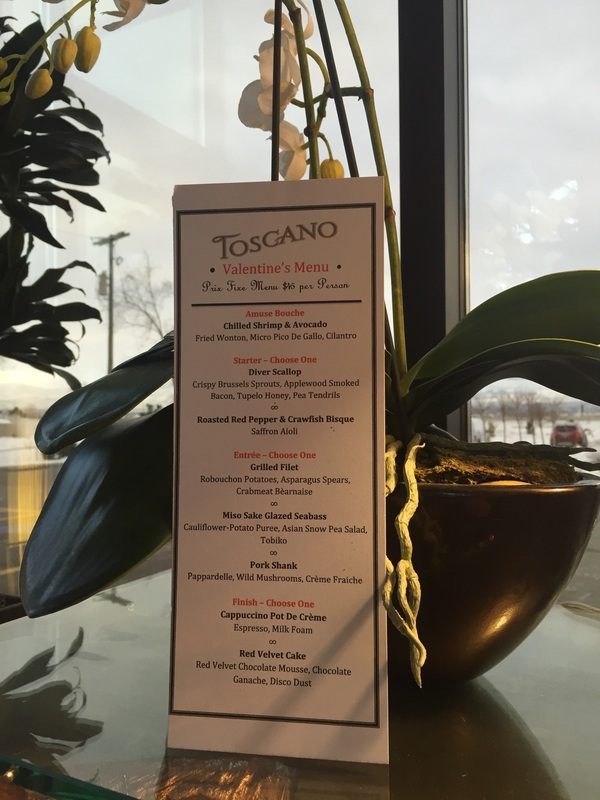 TOSCANO has you covered. We will be running a special Sweethearts Menu all weekend along side our regular menus. Call now for reservations. Tonight we are proudly featuring another signature dish! The Creole Spiced Filet with Tobasco Hollandaise, Asparagus, Crawfish Tails, and Rubouchon Potatoes!